Seth Albaum in the control room of Lynn Community Television. NOVEMBER 29, 2018, LYNN – Seth Albaum saw potential in Lynn the first time he visited its downtown. After landing two jobs on the North Shore, he wanted to move from rapidly gentrifying Jamaica Plain to somewhere with a better commute and cheaper home prices. Albaum had only visited Lynn once, but he and his girlfriend decided to drive up and explore. A year later, Albaum and his girlfriend, Jennifer Adler (who is now his wife) moved into the downtown loft where they still reside today. Albaum, 43, who grew up in New Jersey and came to Boston to attend Emerson College, has done a lot to help the city he loves so much. In 2008, he started the Downtown Lynn Neighborhood Association, a collection of local residents and businesses that collaborate with city government to promote positive change. “We felt like the city didn’t really know us, we didn’t really know them, and we needed to bridge that gap,” said Albaum. Among other activities, the association has sponsored neighborhood socials that meet at a different local business each month, and lobbied successfully for changes in parking rules and safety upgrades in the MBTA garage. Shortly after starting the neighborhood association, Albaum launched a website called Lynn Happens (lynnhappens.com), which provides information on local events and nonprofit organizations. He also joined the board of the Lynn Museum and LynnArts. 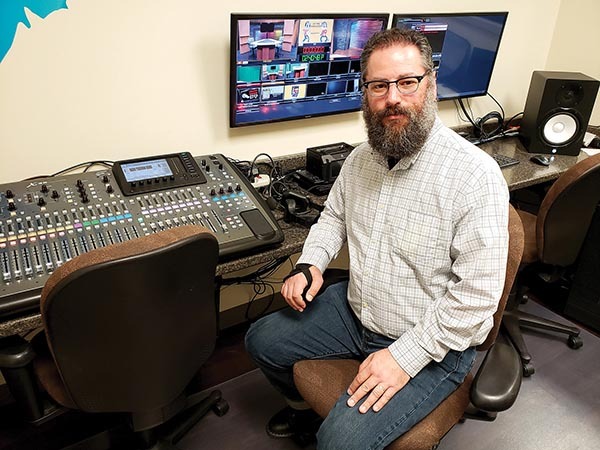 Just last month, he began as director of Lynn Community Television, a job that he feels perfectly combines three of his passions: education, media, and the city of Lynn. In addition to member shows, LCTV hosts a biweekly news program.  Any of the content can be watched at lynntv.org. For the first half of the 20th century, Lynn was home to one of the largest Jewish communities in Massachusetts. Though that number has dwindled, Jews remain, especially in the Diamond District and along Lynn Shore Drive. Until recently, Albaum said that he has not done much with Lynn’s Jewish community. “Regrettably I’m not really tied into the Jewish community in Lynn so much – that’s what happens when you marry a rabbi’s daughter,” he said, noting that their Jewish life now takes place in Narragansett, R.I., where his father-in-law, Rabbi Ethan Adler, is the spiritual leader of Congregation Beth David. But now that Albaum and his wife have adopted a daughter, that may change. “We’re involved now with the JCC, and have gotten involved in some Jewish parents’ groups. But that’s a recent development. We’re still shopping around,” he said, emphasizing that he and his wife intend to raise their daughter Jewish. Now, as new businesses, galleries, and luxury condominiums pop up all over downtown Lynn, Jewish professionals like Albaum and Adler (Jennifer, 44, a Cranston, R.I. native, operates a graphic design business out of downtown Lynn called Survival by Design) are starting to move back into town. Though Albaum has long fought to make Lynn a better place, he hates the word “gentrification” and is wary of the effect that soaring rents and house prices will have on the community. Instead, Albaum hopes that the newcomers will take an active role in the community like he did. “It’s my hope that people moving into the new market-rate apartments downtown [won’t] just use the neighborhood as a bedroom, but instead get involved and contribute positively,” he said.